Nicely updated 3rd floor unit. New King bed, tile throughout. AC, washer/dryer, Free internet, local phone, cable and onsite parking. Diane C. from Garden City, MO United States recommends this vacation rental. Awesome location. Really enjoyed watching the sea turtles from the lanai and swimming next to them. Appreciated the snorkel gear and boogie board. Very easy, stress-free rental experience. Great place to watch the sunset. We also enjoyed watching the turtles swim in the afternoon. The room was very nice and comfortable, and we enjoyed the view from the balcony. The elevator was very, very slow, so we just took the stairs to the 3rd floor each time. There was all the kitchenware we needed, and even a small washing machine and dryer. The building was definitely straight out of the 70s, but it got the job done. Amy B. from Salem, OR United States recommends this vacation rental. We loved the condo and property in general. The grounds were well kept and beautiful. From the balcony we watched countless turtles swim up to the reefs and even swam/snorkeled with them with the easy beach access. This condo has everything you need! Management was in contact via email but we didn't have any issues so didn't even need to contact them. Highly recommended! Arron Z. from Scottsdale, AZ United States recommends this vacation rental. This beautiful home enhanced our vacation experience ten fold. Mahalo! So glad you enjoyed yourself! Roomy Condo right on the ocean! You can watch the waves crash and whales breach while sitting comfortably on the balcony. Though the unit is a bit dated, it had everything we needed for a clean, comfortable stay - great wifi, TV with cable, a full size refrigerator, range and dishwasher. The bedroom was a bit on the dark side, but had a very comfortable king size bed and a 6 drawer dresser so you can unpack and feel like you're at home. We appreciated our stay and highly recommend Lonnie at Kaleialoha Rentals. Myla F. from Portland, OR United States recommends this vacation rental. The rental was very clean, the kitchen had everything we needed, and the bed in the master is very comfortable. The location was great for our conference at the Hyatt, and the area had great restaurants and grocery stores. We enjoyed our stay. Maria G. from Los Angeles, CA United States recommends this vacation rental. Everything about our stay here was easy, which is important for a vacation! We had a lovely stay! The rental process and communication were uncomplicated and easy. It was very easy to find the condo and enter it. The condo was well-appointed with everything we would need, and was clean and comfortable. The location is perfect - it made a great home base to explore all the island has to offer. Our view was incredible - one of the best places to view Maui sunsets! I would definitely book this condo again. Perfect location , view and amenities! Tiffany D. from Lahaina, HI United States recommends this vacation rental. We were in condo #305. It was perfect would def book again! Close enough to restaurants, activities but not overly crowded. Loved the condo, it had everything we needed plus a lovely lanai with a gorgeous ocean view for morning coffee and evening cocktails. Thank you! Vickie M. from Topeka, KS United States recommends this vacation rental. We had an amazing stay at Kaleialoha Condo!, There was an issue with 304 not having air conditioning but after a quick phone call to Loni she was able to move us to 305 which had air. We also had a maintenance issue with a water leak from the room above us but after a quick call that issue was solved also. We were very impressed. We loved the location, the view and everything about the condo. Would definitely suggest the condo to friends and we plan to stay there again if we are fortunate to visit Maui again. The condo was just feet away from the ocean, listening to the waves every night and watching the whale and sea turtles from the lanai was more than I imagined. Easy to find, close to necessities with just the amenities we needed for a week. I would return in a minute. Al & Judy B. from Mesa, AZ United States recommends this vacation rental. Gregory G. from Lahaina, HI United States recommends this vacation rental. Couldn't ask for a better place to stay. Everything was absolutely wonderful! Swam with turtles right out in front of the resort. Grounds are exceptionally clean. Sunsets from the lanai were breathtaking! Jolene B. from Reno, NV United States recommends this vacation rental. Staying at Kaleialoha was the perfect experience for my first visit to Maui!!!! The ocean view on beachfront property was beautiful and the small private beach for guests was breathtaking!!! Watching the sea turtles and sunsets was beyond compare!!! I will always hold this trip close to my heart and absolutely cannot wait to return!!!! Thank you for the hospitality and the wonderful service!!! Mao Y. from lahaina, HI United States recommends this vacation rental. Comfortable stay,nice staff,I will come back! Dr Norman Q. from Lahaina, HI United States recommends this vacation rental. Amanda T. from United States recommends this vacation rental. We had such an amazing time! The condo was very clean, spacious and had incredible views. We would definitely stay here again! Loved sitting on the lanai every morning, eating breakfast and watching the whales and sea turtles. Very relaxing and we felt at home. Our vacation rental experience was fantastic. The location cannot be surpassed. We were steps from a beautiful beach that had the most amazing snorkeling reefs. Each day we were there we swam with sea turtles and every kind of fish you expect to see in Hawaii. The beach was not over populated either. There were never more than two or three other people in the water with us. Every night the sunsets from the lanai were breathtaking. Monday, Wednesday, and Friday you can walk to the Farmer's Market for fresh vegan food. Nearby Napili Market and restaurants provided everything we needed to eat. The condo was decorated nicely and had everything we could have wanted, including boogie boards and chairs. The bed was extremely comfortable. The unit has an A/C in it, but we only needed it at night to sleep, as we were there in July/August. The property was so clean and well-maintained. A maintenance manager lives on site and is visible all day. The property manager herself was easily accessible and responsive. I would rebook this unit in a heartbeat and plan to in the future. Mahalo and hope all is well on your end.. See you next time! Suellen C. from Whitefish, MT United States recommends this vacation rental. We found everything wonderful except I thought the kitchen could have been a little more equiped on variety of dishware. Knives weren't sharp at all, bbq tongs but no salad tongs...just small things like that. Not a big deal, but I'm a cook and felt I was always looking for what wasn't there. It was a wonderful place and we were very satisfied. Scott C. from United States recommends this vacation rental. Alison K. from Woodinville, WA United States recommends this vacation rental. Kaleialoha is the best place to stay. I have stayed here twice now and love it every time. The location is perfect right on the water and close to Lahaina. It's a nice relaxing place to be. David S. from Glendale, CA United States recommends this vacation rental. A truly memorable week in, what was to us, a perfect location - easy, & very scenic driving distance from Lahania, within walking distance of neighborhood stores, & preferable by far to the more crowded resort-like properties a few miles to the north. Throw in a gorgeous ocean view from the lanai, an ocean-wave 'soundtrack' & relative privacy - what more do you need ? This was our second visit; won't be our last. We enjoy the quiet, laid back environment we find here. The staff is friendly, helpful, accommodating. We've stayed in several "fancier" places but have decided we like this one the best. We are looking forward to our next visit. John G. from Brooklyn Park, MN United States recommends this vacation rental. Could of had a little more help to plan activities from the office person. Other then that it was perfect and recommend this place to all our friends and family. Thanks for the memory's. A guest from Logan Lake, BC Canada recommends this vacation rental. Great place, great location, had no fault. Recommend heartily and would come back. Mahalo. Becky S. from Sacramento, ca United States recommends this vacation rental. It was great! Very nice property & unit. The only issue I had was getting the air conditioner to work properly, but wasn't in my room enough for it to be a problem. Would love to come back someday! Neil B. from W. Vancouver, BC Canada recommends this vacation rental. Started to feel like home....and then we had to leave! Being on the beach has its own charm along with some gorgeous sunsets and a turtle or two. Beautifully maintained property. We would stay here over and over. Audrey L. from Hudson, WI United States recommends this vacation rental. The unit we stayed in was perfect. Comfortable, clean, stocked with cookware and essentials for making our own meals (plus a cooler to take with us on day-trips around the island). The views were amazing and it felt like home for the time we were there. It was delightful to stay in this rental unit. A guest from Toronto, Ontario Canada recommends this vacation rental. From immaculate grounds (thanks property manager Ralph) to a great rental unit, location and cleanliness, to an amazing lanai and all the sea turtles, we had a great time at the Kaleialoha. My only complaint is that the lava rocks below the stairs makes it hard for people who are a bit less mobile to access the beach (My mum couldn't enjoy the surf) and were very slippery - would love if they made some sort of ramp down that goes over the rocks a bit better so it's a bit less slippery. But other than that, a great spot, great location, great people! Jim & Karen O. from Gibsonia, PA United States recommends this vacation rental. Location on west side of maui - no beach, but we knew that. Nice lanai overlooking the ocean, Molokai & Lana'i. Saw LOTS of whales & 2 turtles right from the lanai & nice sunsets. Bring binoculars for the whales - really helps. Laundry in unit is a plus (laundry available on site as well), though the inroom unit is quite loud. Times supermarket quite close, and lots of people walking in the morning to the local farmers market. Everything really convenient. No point in staying at the high-priced hotels & resorts. Would stay again! Sandra M. from Napa, CA United States recommends this vacation rental. Had a wonderful 14 day vacation at the Kaleialoha. We saw so many turtles each and every day. It was very hot this visit. There is no shade areas at this resort. So bring lots of sun screen. Unit 305 had everything we needed however, it would be nice to have a hand held shower wand in the shower. Ralph, the grounds manager, is a perfectionist! I would recommend the Kaleialoha to all of our friends. We will return. Aloha! Jenifer M. from La Verne, CA United States recommends this vacation rental. Stayed in room 215. Loved the louvered windows in family room and bedroom, sound of the ocean could always be heard. Room was comfortable and quiet- hardly ever heard any other guests. My wife and I have stayed at the Kaleialoha many times and this time, in unit 305, we enjoyed another pleasant experience. Many turtles to see and swim with as well as other fish if conditions are right. Love the area as there is a beach right at your doorstep and some stores, restaurants, etc. nearby. Highly recommend this property as it's always well maintained with a friendly and knowledgeable staff. Steve M. from Anchorage, Alaska United States recommends this vacation rental. The location could not be any better. Just steps away from the crashing waves of the beautiful ocean. Whales jumping in the distance. Pamela S. from Stevens Point, WI United States recommends this vacation rental. This was our first time to Hawaii and we could not have had a better time or more excellent accommodations. The view from the balcony made it hard to leave the room and go and explore Maui. The condo was clean and very up to date. It was also a very quite location that my husband and I both appreciated. We will be going back and staying at this facility again. The staff is A++++ (very friendly and helpful). jon s. from jordan, MN United States recommends this vacation rental. Maximilano S. from Denver, CO United States recommends this vacation rental. What can I say... This place exceeded our expectations...we are a couple that have been traveling staying in numerous luxurious resorts in the past and this time we wanted to try something different, a place that we could feel at home BUT with a precious view. And we found it! The condo is very basic but with everything we needed and our balcony was 15 yards from the shore with a view we never experienced before in any resort. We could feel the breeze and the sound of the waves every day and night and we saw 4-5 sea turtles every day coming to the beach in front of us. The people was great, we had 3 grills to chose from and we enjoyed grilling and drinking wine with a spectacular view. We were 2 blocks from the farmer market, coffee shop, local little restaurant, gas station and surf board/bike rental place. Parking is free in the condo parking lot and there is plenty of place. We also had washer and dryer in the unit and free wifi. We are coming back for sure! Mary H. from Jefferson, OR United States recommends this vacation rental. Very relaxing, quiet. Close to shops for shopping. Close drive to a great Luan, highly recommended. Wish we had known about this place when we booked, wouldn't have wasted three days at other place. Will definitely be back. The rental had a spectacular view and was just cozy enough without feeling cramped. The kitchenette worked out great for our purposes and having access to the outdoor Gas BBQ's was a huge help with dinner. All in all it was a good place to stay. EILEEN F. from WHITE BEAR LAKE, MN United States recommends this vacation rental. Great place to stay. Wonderful vacation! I had a problem connecting with property management on check in due to a miscommunication but otherwise all was great. Whales,turtles,sunset and chocolates oh my!! Gisele F. from Longwood, FL United States recommends this vacation rental. A wonderful place to stay in Maui. Nothing is better then to start and end your day looking out your balcony seeing whales frolic or see a amazing sunset. Helena M. from Lahaina, HI United States recommends this vacation rental. we had a great time there. The property is very comfortable with everything we needed what made us feel as we were in our own beach house....the view from the balcony is perfect...we swam with turtles in front of the apt...location was very good as the best beaches were few minutes drive from there...quiet place...recomend it !!! Sherri C. from Morristown, TN United States recommends this vacation rental. Beachfront with turtles on shoreline nightly - had all comforts of home, fully stocked kitchen, beach towels, snorkel gear and even a boogie board! 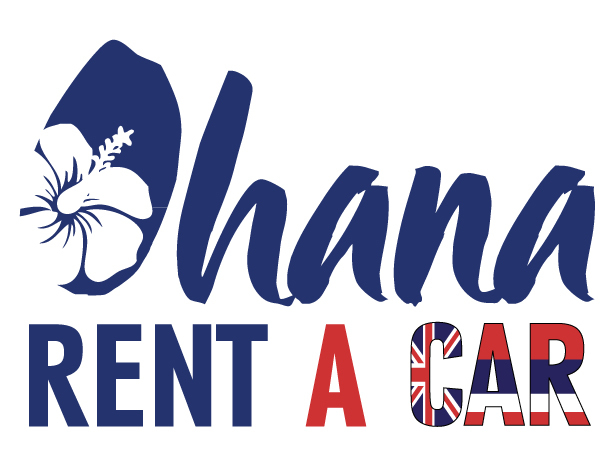 We will tell everyone about Kaleialoha! A guest from Salina, KS United States recommends this vacation rental. You were awesome!!!!!! The room was nice and clean. We will tell everyone about Kaleialoha!!! John F. from San Diego, CA United States recommends this vacation rental. The unit/complex was very nice and quite with a great ocean/sunset view. The TV/DVD player were a little outdated and thee were no instructions on their use. It would also be helpful to have a list of the beach amenities provided by the unit and their location, we didn't find the beach chairs under the bed until we were checking out. OTTO P. from PORTLAND, OR United States recommends this vacation rental. It had been some time since we last visited the friendly island. We enjoyed our stay in #305 and would certainly stay again and recommend it to friends. It had everything in it that a person would have in their own home like a well equipped kitchen. The view was spectacular and the snorkling outstanding (snorkel gear was included). It's a hany location for all your needs, but doesn't have a congested feel. Thank you for sharing your charming home away from home. John M. from Ingersoll, ON Canada recommends this vacation rental. Susan F. from Temecula, CA United States recommends this vacation rental. We enjoyed our stay and the unit very much. Fantastic view. Right on the water. Enjoyed the beautiful sunsets and watching the turtles. A guest from Oldenburg, Germany Germany recommends this vacation rental. We (a couple) had a wonderful time at the condo. Breakfast at our Lanai was great - we saw turtles, stingrays and seals! A guest from Springfield, MO United States recommends this vacation rental. A guest from Frisco, TX United States recommends this vacation rental. This was an amazing place to stay with a gorgeous view!!! Close to the beaches and shopping!! !